Give the gift that keeps on giving by participating in our matching gift program! Did you know that more than 15 million employees work for companies that offer matching gift programs? That means your donation may be eligible to be doubled (or even tripled!) to fund lifesaving pediatric cancer research. Here’s an example. Let’s say you work for Microsoft and donate $100 to St. Baldrick’s. Microsoft will double that donation by also writing a check for $100. All it takes is a few minutes of your time. To see if your company will match your gift and to find everything you need to make it happen, visit our matching gifts page. I made a donation a few months ago. Can I still apply for a matching gift? It’s not too late to apply for a matching gift! Many companies allow employees to submit match requests up to one year following the date of the donation. Will my company match my volunteer hours? Many companies will match volunteer hours or gifts from spouses, retirees, and board members. Each company has specific guidelines for their matching gift programs. Contact your company’s HR manager for more information. I didn’t find my company on the search page. Now what? It’s still possible that your employer will match your donation if you don’t find your company on our list. The best way to find out is to check with your company’s HR manager and ask if your donation can be matched. Can my company’s matching gift be applied to a shavee, volunteer, team, or event ? Yes! 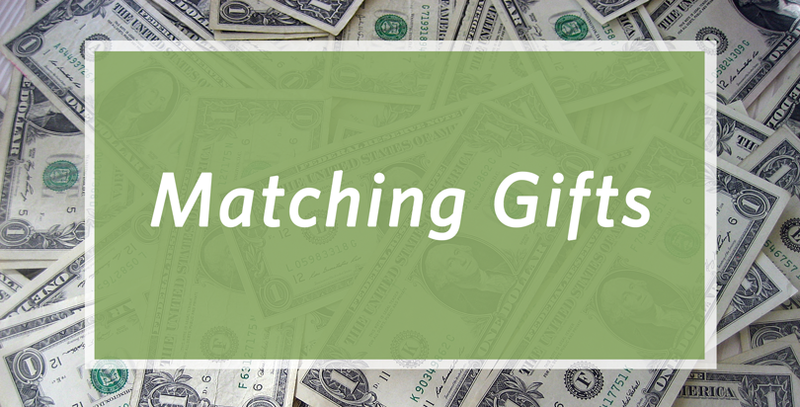 Matching gifts are a great opportunity for participants to boost their fundraising totals. And St. Baldrick’s participants can spread the word about matching gifts to friends and family. Let them know that they can double their donations, too! Do matching gifts make a difference? Absolutely! Every year, we receive nearly a million dollars in matching gifts from over 500 companies, including Willis Towers Watson, GE Foundation, Bank of America, and Microsoft. Two of our top matching gift partners, PartnerRe and GenRe, have generously matched employee donations since the beginning of our foundation. As a result of their tireless efforts to conquer childhood cancer, teams from both companies have landed on our Top Fundraising Teams list year after year. More questions? Email us at MatchingGifts@stbaldricks.org. Use our matching gifts search now and find out if your company will match your gift. We won’t email you every day, but when we do, you’ll want to read it. What Is Acute Lymphoblastic Leukemia (ALL)?